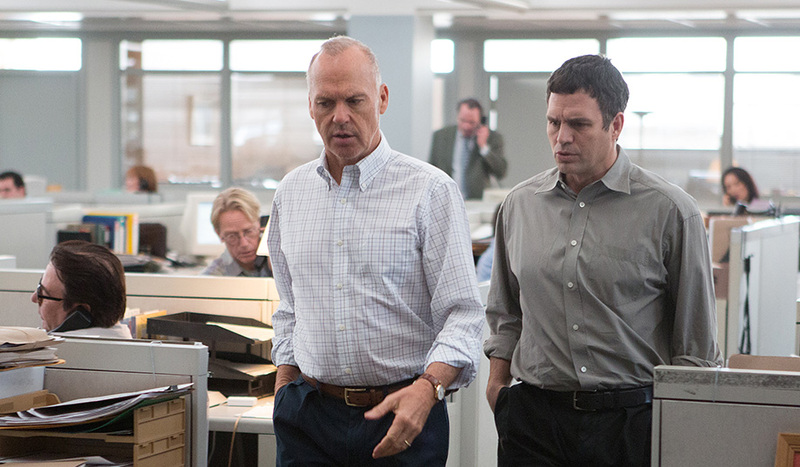 If Room is the current predicted #2 in the Oscar race for Best Picture, Spotlight is #1. A lot can happen between now & this Spring, and of course these predictions aren’t actual indications of how excellent a film will seem to any given individual, but hey, it’s fun to guess. 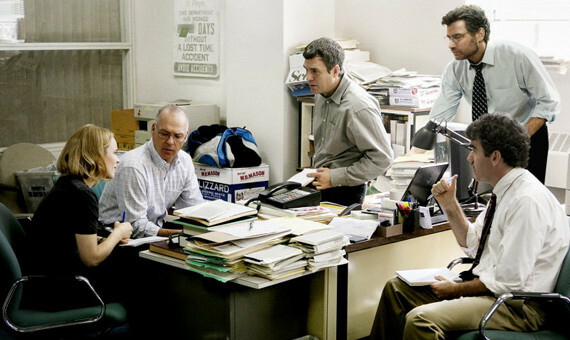 Spotlight leads the charge due mainly to its thrilling true story, a plot that’s exciting yet not typical, due mostly to its basis on actual events. But is a compelling true story enough to win awards, or just enough to get audiences into theatres? For Room, the answer might be ‘neither’, since it’s flying under-the-radar except for critics and doesn’t quite have the acting chops to garner an Academy Award. Unfortunately, I think this film falls into the same category; excellent plot, well-paced, relevant & interesting, but not performed superbly enough to turn critical heads. In the early 2000s, the Spotlight team of the Boston Globe unearthed the coverup of the century, a pile of secrets so disgusting that neither the media nor the public were willing to let them see the light of day. When multiple cases against the Catholic Church were systematically settled, dismissed, or swept away, investigators at the Globe began to pick up on a theme of abusive priests being shuffled around America, but never taken out of service. At first these events seemed rare, but the more the team dug the more they noticed a frightening fact; that this problem was neither abnormal or prosecuted, the United States government working with the Church to keep the truth hidden. Fighting the Cardinal of Boston himself, the lawyers who were paid to protect the priests, and their very own Catholic upbringings, Spotlight would publish the story of the decade, no matter who retaliated. 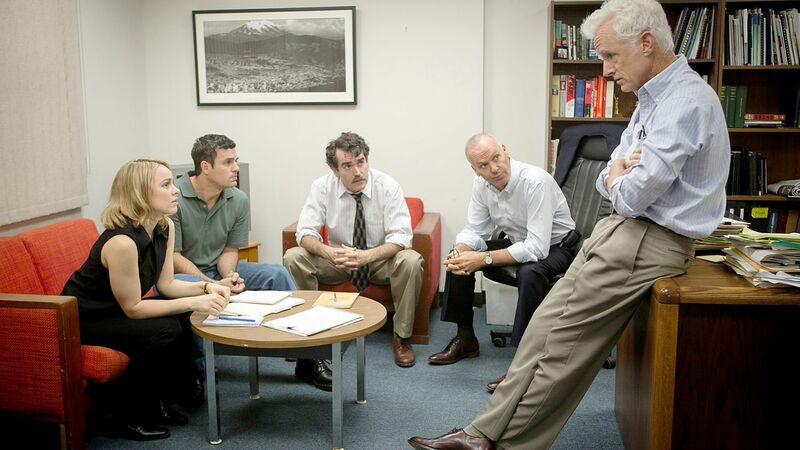 First of all, let me say this; Spotlight is a great film. From near the very beginning, attention stays focused on the team, their workroom, their methods, their determination, and their desire to see their findings make a difference. The movie wasn’t cluttered with family crisis, only mentioning in passing how their hard work was affecting the loved ones of the team members. It wasn’t convoluted with morals & bravery & God & righteousness, only the simple idea that the abuse of children could not be tolerated, that people deserved to know the truth so that they could keep their kids safe. This passionate plot was delivered very well and very simply by Tom McCarthy, combining a bit of theme music with a few standard benchmarks to craft a film that was of a high quality but was also easy to watch. This kind of not difficult to follow yet driving drama is something that is quickly consumed & enjoyed, satisfying all audiences. But for a film that has its sights set on big award wins, I didn’t think the acting supported the goals. Mainly, Michael Keaton failed to impress me. I loved him in Birdman, was excited to see him in the conversation, thought the role was perfect for him. But let’s not kid ourselves; he isn’t the greatest actor. There’s a reason he isn’t on the same level as, say, Tom Hanks, and it’s because he’s simply not on the same level as Tom Hanks. Last year’s success earned him this year’s key role, but his ability isn’t up to our expectations, and unfortunately he fails to pull off a role that was too big a mouthful to chew. Meanwhile, Mark Ruffalo, who is still one of Hollywood’s most underrated actors, shone once again and was perhaps the best part of the film. Rachel McAdams was also strong, or as strong as can honestly be expected, Liev Schreiber was solid, and Stanley Tucci stole the few scenes he was in, merging styles with Ruffalo in a way that should receive its own personal Oscar nod. Spotlight as a whole though, that I can’t hand gold to. It is a fantastic film, a must see, one of the year’s ten or fifteen best, and will definitely have earned a nomination if it comes to that. But it won’t be receiving my vote as #1, which is only a small criticism in a way; great but not best.